Enchúlame la silla | Autonomía Libertad y Movimiento, A.C.
We go to your community “to enchularte the chair”. CHECK ME THE CHAIR aims to repair the wheelchair that is in use by the client. Our work seeks that the finished product is of at least one year, of use without problems. This process may include upholstery, frame reinforcement, welding, tires, etc. Based on our review of registration at reception. 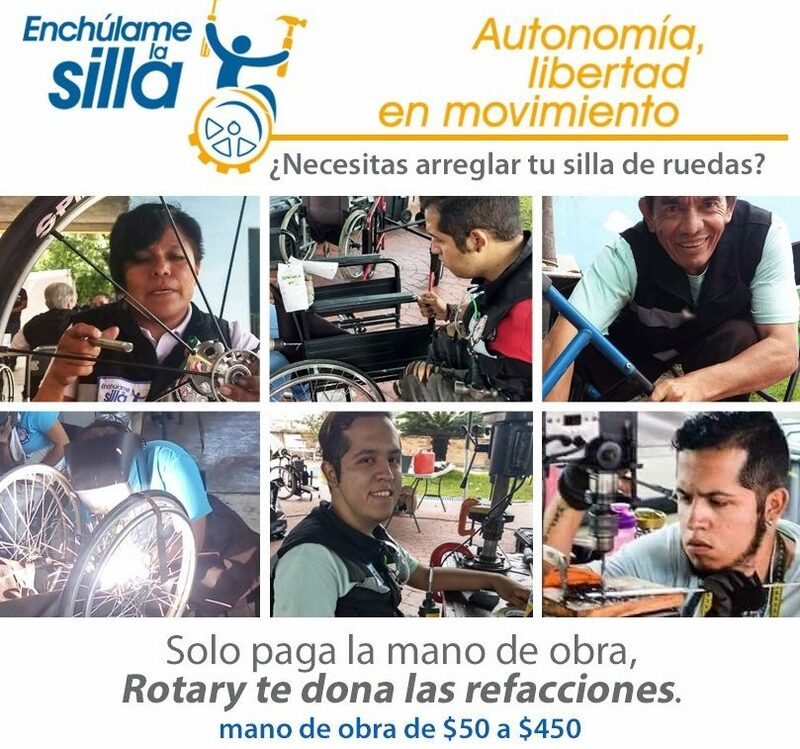 The background is not only to enable wheelchairs and to benefit more population the ENCHÚLAME LA SILLA, is to influence the image you have of the person with disabilities and show their ability at work, fully capable of a comprehensive social participation. The Itinerant Project of Enchúlame la Silla is an experience that provokes. An Experience that leads us to ask ourselves “now that I see the other differently, now how do I see myself, differently and my relationship with that” other “? The transformation of the world begins with me.